The Ocicat is an exotic, wild-looking feline with domestic origins, bred from a combination of Abyssinian, Siamese, and American Shorthair breeds. Despite its appearance, Ocicats are completely domestic, social, and playful. Weight: Female Ocicats weigh 6 to 9 pounds on average. Males weight between 9 and 15 pounds. These cats have solid, muscular bodies and medium-length legs to support their athletic body. Colors: Spotted coat comes in 12 different colors: Blue Spotted Tabby, Blue Silver Spotted Tabby, Lavender Spotted Tabby, Lavender Silver Spotted Tabby, Cinnamon Spotted Tabby, Cinnamon Silver Spotted Tabby, Fawn Spotted Tabby, Fawn Silver Spotted Tabby, Chocolate Spotted Tabby, Chocolate Silver Spotted Tabby, Silver Spotted Tabby, and Brown Spotted Tabby. Patterns include ticked, classic tabby, solid, and pointed. All eye colors are accepted in registration associations except blue. Eyes are large and oval, angling slightly upward and have the appearance of being rimmed with mascara. The first Ocicat was born in 1964 as a result of an experimental breeding by Virginia Daly; she attempted to create an “Abypoint" Siamese—a Siamese with the same color markings as the Abyssinian. A ruddy Abyssinian male, named Dalai Deta Tim of Selene, was bred to a Seal Point Siamese named Dalai Tomboy Patter, resulting in a litter that was considered Abyssinian. A female from that litter, named Dalai She, was bred to a Chocolate Point Siamese, Whitehad Elegante Sun, whose offspring resulted in Siamese kittens with Abyssinian points. After a repeat breeding, an ivory kitten with golden spots named Tonga was born and Daly’s daughter mentioned he looked like an ocelot and said he should be called an Ocicat. However, Daly was not interested in creating a new breed, so Tonga was neutered and given to a new home. Geneticist Dr. Clyde Keeler took an interest and wanted to see a domestic cat that could resemble some of the vanishing wild cats, specifically the Egyptian Spotted Fishing Cat. Daly repeated the match, which produced a tawny spotted male she named Dalai Dotson for use in the new project. The next step was to introduce the American Shorthair to the mix for the boning and substance and to introduce silver. Due to family issues, Daly’s project was put on hold, but as interest grew, new lines were developed. The Ocicat was recognized for registration by the Cat Fanciers' Association in 1966. The breed also received championship status in August 1986 from the International Cat Association. And the Ocicat is acknowledged by the American Cat Fancier's Association and Cat Fanciers' Federation. The Ocicat’s short dense coat requires little grooming, just some brushing with a rubber curry comb will do. Polishing with a chamois cloth brings out the sheen. Nails should be trimmed regularly—it's best to train a kitten early on to accept that—and a scratching post or cardboard scratcher (more than one, preferably) will keep the nails well honed, and save your furniture. Since an indoor life is preferred for Ocicats, as well as any cat, provide a tall cat tree for climbing, access to outside views, and plenty of toys to channel their energy. Cats need vertical space as well as horizontal space. 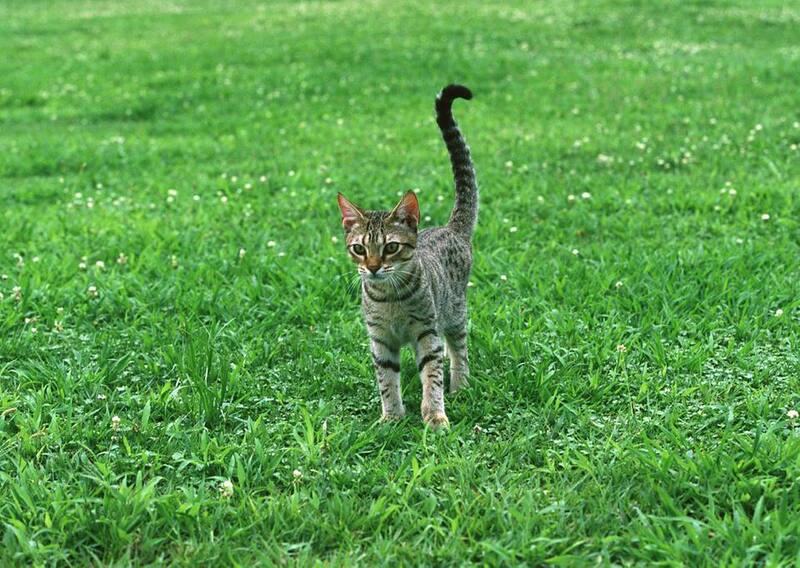 The intelligent, high-energy Ocicat might also enjoy exploring the outdoors safely when trained with a harness or walking jacket and leash. Ocicats are said to have a dog-like personality and are quick to socialize with family members and visitors. They are happy in a busy household and prefer not to be left alone for a long time. The Ocicat may experience several health concerns that must be discussed with the breeder before you purchase the cat. Responsible breeders screen their cats thoroughly for any health problems, known and unknown, associated with the breed. Liver or renal amyloidosis is a possible hereditary disease that occurs when a substance called amyloid, an insoluble protein, is deposited in organs such as the kidneys or liver. It results in lesions, dysfunction, and eventually, organ failure. Pyruvate kinase is a key regulatory enzyme in the energy metabolism of red blood cells; a deficiency in this may lead to anemia. Ocicats may also experience hypertrophic cardiomyopathy, a condition of the heart that causes the walls, specifically the left ventricle, to thicken. They may be prone to periodontal disease. Be sure to have an established veterinarian on hand and schedule regular checkups. Regular exams can give you a leg up, especially if there are issues such as periodontal disease. Ocicats' strong, athletic bodies need a species-appropriate diet to sustain their health and energy. Grain-free foods are often preferred as are raw diets. Do not be afraid to feed a variety of foods–it prevents a cat from becoming finicky and avoids a nutritional deficiency that may occur from feeding them only one brand. Do your research and discuss your cat's nutritional needs with your veterinarian. When choosing an Ocicat, or any other purebred cat, be sure to do your research. Get to know the breeder. It’s often recommended that you visit the breeder’s home before reserving a kitten (breeders often have waiting lists). However, in this age of social media, it is often possible to connect on Facebook. As of late, breeders have started creating their own Facebook pages and take part in groups dedicated to sharing their experiences. Don’t let distance be a concern. There is an active network of people who transport cats around the country and even the world. In addition, rescue organizations can also help place retired purebred cats and look-alikes in loving homes. The Cat Fanciers' Association, which holds cat shows all over the country, recognizes 42 different cat breeds, so there's sure to be one for you. What Is a Domestic Cat?